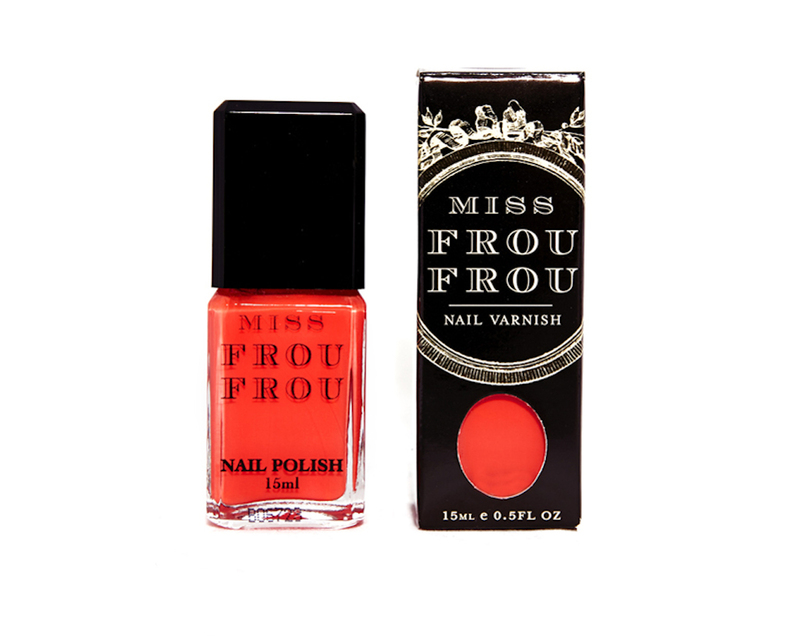 Miss Frou Frou's "My Miami"
Miss Frou Frou Nail Varnish in "My Miami"
Miss Frou Frou, nail polish in ‘My Miami’ is a neon coral shade. Synonymous with the ultimate in beauty indulgences, Miss Frou Frou Nail Polish is a fashion forward and cutting edge range. Seasonal colours have been sourced via local and international fashion shows and have landed on the fingers and toes of clientele and celebrities including Cate Blanchett , Nicole Kidman, Naomi Watts, Toni Collette, Naomi Campbell, Kylie Minogue & Miranda Kerr double time.